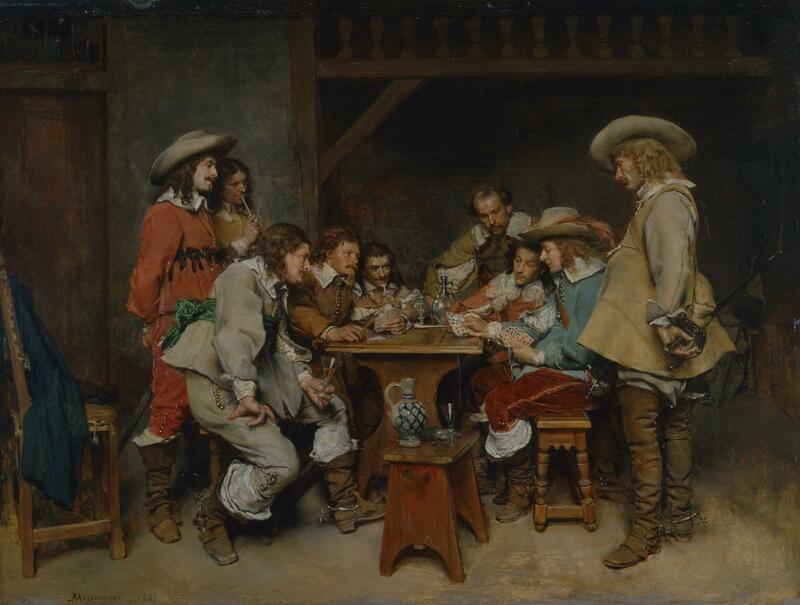 Piquet is an ancient card game. The first known mention of Piquet in written form dates back to 1535. Legend holds that Stephen de Vignolles invented the game during his service to Charles VII during the Hundred Years War. Although it is also believed it may have come from Spain and was introduced in France at a later date, as the words 'pique' and 'repique,' which are used later in the game, are actually Spanish words. It has since traveled the world over and has become one of the most popular ones to play in large regions of Europe. 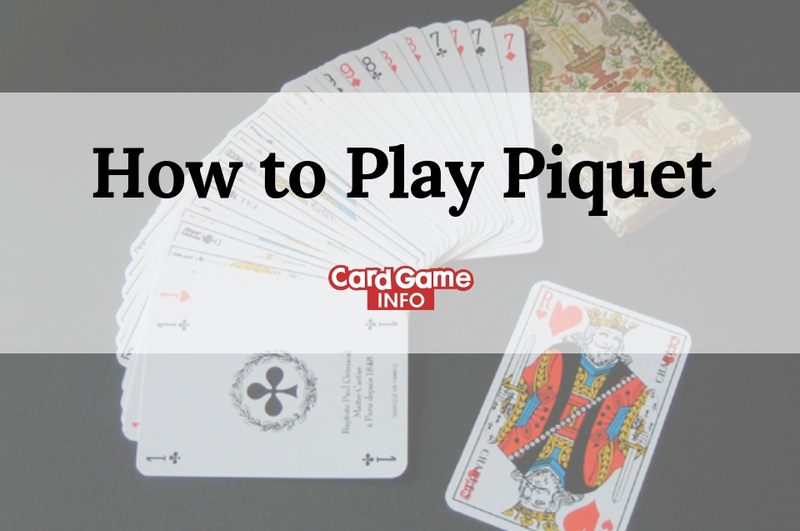 Piquet is a card game played by two players using a 32 card deck. The deck is made up of the 7s to 10s, face cards, and aces in each suit. The 2s through the 6s are removed from a standard 52 card poker deck. Because of the history of Piquet, it refers many aspects of the game to in French terms. The game comprised a total set of 6 deals called a partie. This word is French for "match." playing the cards and winning tricks. The object of the Piquet is to win the most points and in some variations be the first to win 100 points. They record the points at the end of each phase of the deal and during the last phase, the trick playing phase, they are announced and recorded after every play. The totals from each phase are added together for the player's total score. If there is a tie at the end of 6 deals, then two more are usually played. After these two if the score is still equal, there is a draw. If, at the end of a partie, the loser has scored at least 100 points the loser pays the winner the difference of their scores plus 100. If, however, the loser's score is under 100 then the loser pays the winner the sum of both of their scores plus 100. The players cut the deck to see who deals first. The player with the higher card deals. 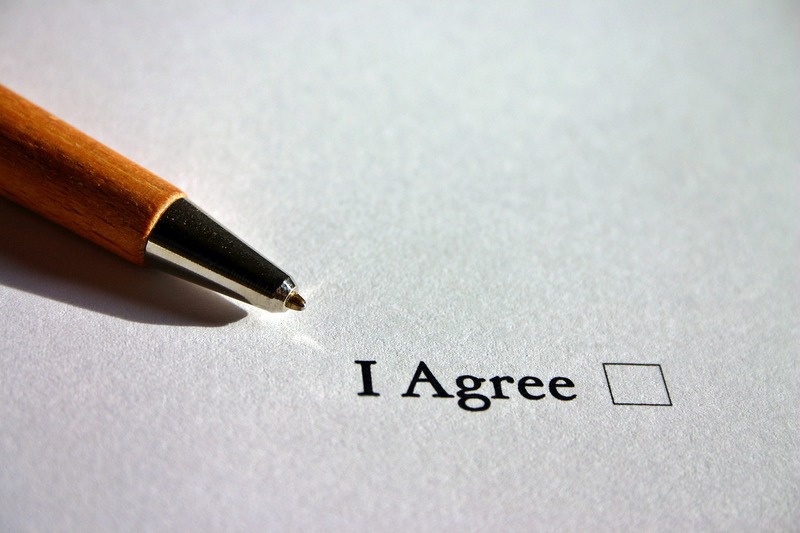 The deal alternates between the players. Twelve cards are given to each player in either set of 3 or 2. Eight cards are left for the talon and are placed face down in the center. The dealer is called the younger hand and the non-dealer the elder hand. If either player has a hand without any court cards (face cards), they may announce carte blanche and record a score of 10 points. After the announcement, the player must then prove that they have this by showing their cards. However, to remain fair, there is a certain process for this. If the elder hand has a carte blanche, then he or she must also announce how many cards they plan on discarding in the next phase so that the younger hand can discard and exchange cards before seeing the elder hands cards. The elder hand discards first and must discard at least one card but no more than five. These cards are placed face down near the player and can be referenced to later in the game. The player must then pick up the same number of cards from the talon. The younger hand can then do the same, discard at least one card and no more than there are cards available in the talon. If the elder exchanges less than five cards they must announce this and then they may look at the remaining cards of the top five. If the younger hand does not take the highest amount of cards possible, they may flip the remaining unused cards in the talon over for both players to see. If any player scores over 30 points in points and sequences before the other scores in sets, then they receive a repique. It is important to note that the younger hand can never get a pique because of that additional one point the elder gets for playing the first trick play card. Also, equality in a declaration does not prevent a pique or a repique. 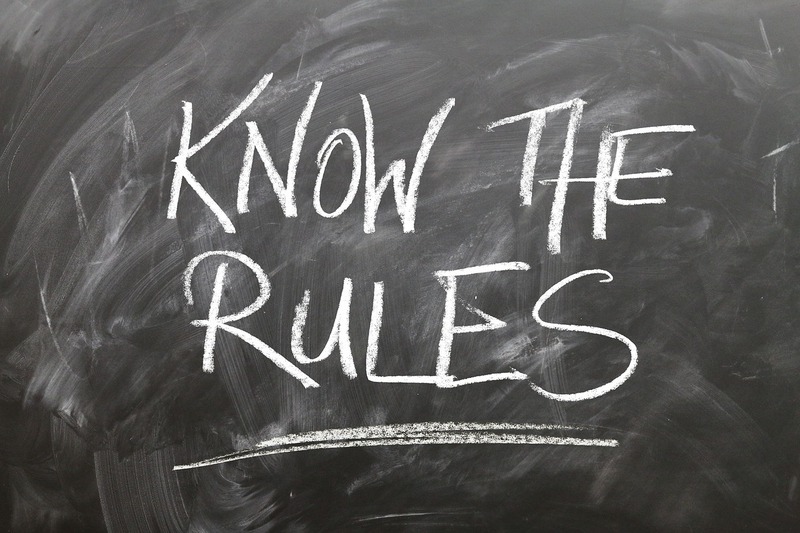 The play is in tricks and players must follow suit. The elder, as stated before always leads with the first play. The younger follows suit if possible if not than they may play anything. The winner of each trick is determined by who plays the highest card of whatever suit is being played. They receive one point for winning and gain the right to lead the next trick, for which they get another point. The score is kept as the game continues until all cards have been played. The winner of the last trick wins an additional point bonus. The player who wins the most tricks out of the 12 wins 10 points for the cards. If one player has won all 12 tricks, they are rewarded with 40 points for the capot. There is no score if each player wins 6 tricks. This is the most cards in one suit that the player has. This number is announced, and its score is equal to its number. For example, having 4 cards in the same suit is announced as a "point of 4" and gains four points. This is a set of cards with the same value. For this, there are two kinds. A trio is a set of three cards of A, K, Q, J or 10 and it scores three. A quatorze is a set of four cards of A, K, Q, J or 10 and scores 14 points. It is important to note that 9s, 8s, and 7s do not count for sets. For each category the elder hand declares first, announcing his best hand for each category. Once they have announced then the younger hand will counter by stating whether the elder's hand is better, worse, or the same in value as theirs. The younger will reply "equal" if the values are equal. If they are equal, then the elder must give more information to decide whether or not the hands are exactly equal. If they are, neither score will be recorded. Equal points are decided by adding the face value of each card. The court cards are counted as 10 with the Ace being worth 11 points. Equal sequences compare according to the highest card. For example, a king always beats a queen and a queen always beats a jack. For sets, a quatorze will always beat a trio. When deciding between two quatorzes or two trios the highest ranking card wins. The player with the winning hand in either the sequence or the set category may then declare any other sequences or sets they have and record those scores. Note that the loser of each category records nothing. Experienced players will discard their low cards, 9s and lower. This may mean getting rid of any four or more of one suit. However, since these score in the points category and that category is the lowest scoring one, it may still allow you to get straights of five or more. This will score higher than any point score could and so it may be worth it. They also know players with experience to hold "stops" (usually high-value cards in the opponent's strong suit) for the last stage of play. This allows them to block their opponents run of tricks with any long sequences they might have. Some variations allow the winner of the last trick to win 10 points instead of one. Some other variations attach a carte rouge addition. This is when every card in a player's hand has been used in a good declaration. For example, if six cards were good in points and the other six were good in sets. This player gets another 20 points. If it is better than the younger will say "good," and the elder can record that score. The younger will reply "not good" if their hand is higher in value than the elder's and then record the score. If you have never heard of this game, much less played it before, it may seem to be complex and overwhelming with your first glance at the directions for gameplay. However, like most things practice makes perfect. It really isn't that difficult to learn how to play piquet. In fact, the complexity of the game makes it so interesting to play. Why not carry on the tradition of an age-old game that is better played than left in the history books?